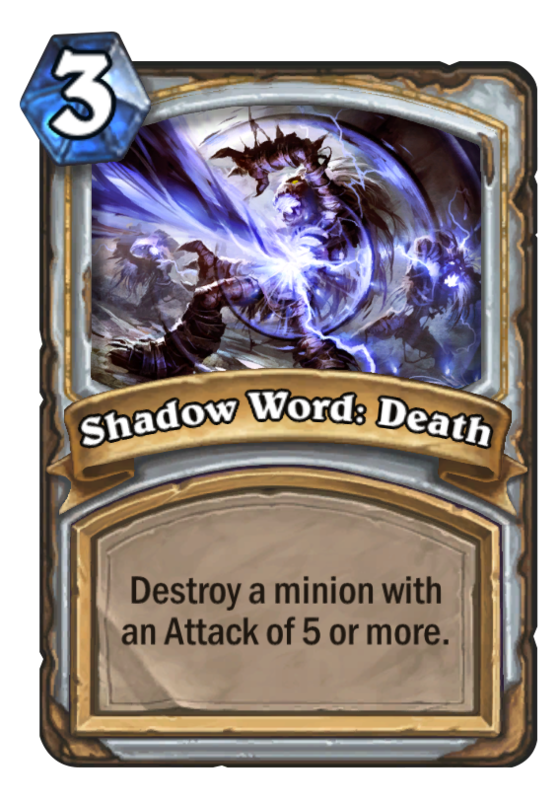 Shadow Word: Death is a 3 Mana Cost Free Priest Spell card from the Basic set! 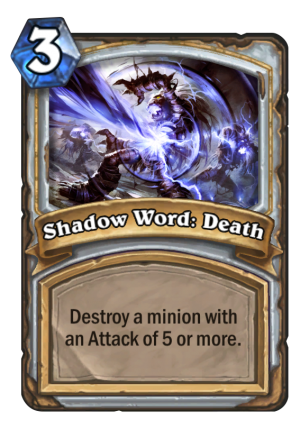 Destroy a minion with an Attack of 5 or more. Rating: 4.4/5. From 122 votes.